Official narratives are of particular interest to students of public history, giving us insights into national identity management. This is particularly true when – as with Olympic opening ceremony “histories” – they aim to project identity outwards. Narratives aimed at future citizens, that indicate what they must “know” to come officially to “belong”, are particularly worthy of study, since they both project official identities and define the terms of acquiring them. What can official historical narratives – and changes in such narratives – reveal about how history is used in national identity management? Although it was relatively unremarked at the time, an important innovation occurred in 2013: The United Kingdom acquired an official history with legal status – the history chapter of Life in The United Kingdom (LUK), the British Home Office’s “Citizenship Test” textbook. The chapter had existed in two previous iterations – the first when LUK was launched in 2004 and another in the second edition of LUK, published in 2007. It was only from 2013, however, that the history chapter became eligible content for the “test” that applicants for residency status in the UK need to pass. In 2013 “The Making of the United Kingdom” – the title of the “history” chapter in both 2004 and 2007 – became “A Long and Illustrious History”. What changes can be observed in the narrative in that chapter, between the first (2004) and the third (2013) editions? This post aims to answer this question by focusing on what these two editions have to say about slavery and the slave trade. I will look at how the guide’s presentation of this difficult history changed over time and look at both form – how the history is narrated – and content – what is included/excluded. Comparisons in the form of the first and the third editions’ narratives of the slave trade suggest a clear shift in grammatical representations of agency in the two texts. The first edition’s account of the slave trade has “British ships” in the subject position, “supplying” colonies with “men and women seized or bought in West Africa to work on the sugar, cotton, and tobacco plantations.” In the third edition, however, captured Africans are described as coming from “West Africa” – a description that attributes grammatical agency to them (“Slaves came”). They are also described as “travelling on British ships”, a form of words that again puts the objects of enslavement in the grammatical subject position and that succeeds in saying nothing about those who put – and kept – captured Africans on slave ships or about how these things were done. The first edition tells us that “tens of thousands died in mid-passage chained in the overcrowded holds of the slave ships” whereas the third edition simply states that the conditions in the ships in which the slaves were “travelling” were “horrible”. Before the third edition explains the trade, it tells us that “while slavery was illegal within Britain itself… it was a fully established overseas industry”, a form of words that distances slavery from Britain, locating it “overseas”. The first edition’s text, by contrast, narrates the 1772 Somerset case – a legal case about deporting a slave from Britain – and argues that there were many thousands of slaves in Britain for most of the eighteenth century and that slavery was legal in Britain until the Somerset judgment. The first edition also devotes some space – 4 sentences – to Africans in Britain in the eighteenth century, a topic that is entirely absent from the slave trade section in 2013.
Who abolished slavery? Whereas both texts mention slave uprisings, only the first edition grants them a role in bringing about abolition: it attributes agency to “public opinion in Britain” which “led to the abolition”, under the influence of “evangelical Christians like William Wilberforce… and… slave revolts in the West Indies”. The agentive roles in the third edition’s text are taken by Wilberforce who, along with other abolitionists, “succeeded in turning public opinion against the slave trade.” The activities of the British state after abolition of slavery are presented very differently also. The patterns observed above in the account of the slave trade are consistent with those found in other episodes in editions of LUK that I have analysed (e.g. the accounts of the Battle of Agincourt and the conquest of Wales). How is this patterning to be explained? It is possible that these changes reflect the Home Office’s intention, announced in 2012, to make the “Citizenship test” more patriotic and that they are, thus, the result of deliberate political manipulation of the narrative, although it should be noted that most of the key changes began before the 2013 edition. They may simply reflect a desire to make the history more accurate – the 2004 edition was widely criticized for errors of fact – but many of the changes are in matters of interpretation not of fact and some of the changes arguably decrease, rather than increase, historical accuracy. It is possible that the changes relate to shifts in conceptions of citizenship – away from liberal multicultural models and towards communitarian ones. It has been suggested to me that the changes may simply reflect linguistic simplification – necessary since, from 2013, history was to be on the test. However, both the 2004 and the 2013 accounts of the slave trade have equivalent “Flesch-Kinkaid” readability scores and the 2007 narrative is the most “readable” on this measure. To really know what underlies the changes in form and content one would need to research the writing processes that brought the revisions to the text about rather than the texts themselves, but the former are not in the public domain. It will be interesting, no doubt, to see what happens to this and other aspects of official history in the new edition of LUK that must surely follow after March 2019. There are indications that history may be downgraded in that new edition and replaced by a more direct and explicit focus on “British values” rather than on narratives of an “illustrious” British past. The explicit assertion of officially scripted ‘national values’ raises problems, of course; however, it may well be preferable to propagating such values more obliquely through the editing and rewriting of historical narratives. Chapman, Arthur. “Changing LUK: Nation and narration in Life in the United Kingdom.” In How to Investigate Public History: Analysing Historical Narratives, edited by Nicola Brauch, Stefan Berger, and Chris Lorenz. New York and Oxford: Berghahn Books, forthcoming. Brooks, Thom. Becoming British: UK Citizenship Examined. London: Biteback Publishing, 2016. The Life in the United Kingdom “History” chapter can be read online at the following address: https://lifeintheuktests.co.uk/study-guide/?chapter=3/#start6 and the section on “The Slave Trade” here: https://lifeintheuktests.co.uk/study-guide/?chapter=3&section=4/#start10 (last accessed on 18 December 2018). Edgar, David. “The British history new citizens must learn: no radicals, no homosexuals, no Holocaust.” The Guardian, May 11, 2013. https://www.theguardian.com/commentisfree/2013/mar/11/battle-britain-history-new-uk-citizens (last accessed on 18 December 2018). The three editions of the Guide are: Home Office, Life in the United Kingdom: A journey into citizenship (Norwich: The Stationary Office, 2004); Home Office, Life in the United Kingdom: A journey into citizenship (Norwich: The Stationary Office, 2007); and Home Office, Life in the United Kingdom: A guide for new residents (Norwich: The Stationary Office, 2013). Thom Brooks, Becoming British: UK Citizenship Examined (London: Biteback Publishing, 2016). All quotations are from Home Office (2006), pages 31-32, and Home Office (2014), pages 42-43. These are the 8th impression of the 2004 edition and the 5th impression of the 2013 edition. The 2004 edition misdated the Somerset case as occurring in 1769 – one of many errors (see Lee Glendinning, “Citizenship guide fails its history exam,” The Guardian, April 29, 2006, https://www.theguardian.com/uk/2006/apr/29/immigration.immigrationpolicy, last accessed 18 December 2018). It is arguably inaccurate to see this legal case as unproblematically ending slavery on the British mainland, as Adam Hoschild notes. See Adam Hoschild, Bury the Chains: The British Struggle to Abolish Slavery (London: Pan MacMillan, 2005), 48-51. Alan Travis, (2012). “UK migrants to face ‘patriotic’ citizenship test,” The Guardian, July 1, 2012, https://www.theguardian.com/uk/2012/jul/01/uk-migrants-patriotic-citizenship-test (last accessed on 18 December 2018). For example, the removal of reference to slave agency in emancipation – see Michael Craton, Testing the Chains: Resistance to slavery in the British West Indies (Ithaca and London: Cornell University Press, 1982). Ricky Van Oers, Deserving Citizenship: Citizenship Tests in Germany, the Netherlands and the United Kingdom (Leiden and Boston: Martinus Nijhoff Publishers, 2014). “Full text: Sajid Javid’s Conservative conference speech,” The Spectator, October 2, 2018, retrieved December 16, 2018, https://blogs.spectator.co.uk/2018/10/full-text-sajid-javids-conservative-conference-speech/ (last accessed on 18 December 2018). Detail of a monument to ‘Captured Africans’ in the British city Lancaster © Arthur Chapman 2007. 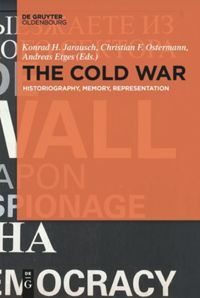 Chapman, Arthur: Reading Re-Writings of Official History. In: Public History Weekly 7 (2019) 3, DOI: dx.doi.org/10.1515/phw-2019-13255. Editorial note: Minor changes were made to the text on 31 January 2019 (12:45). 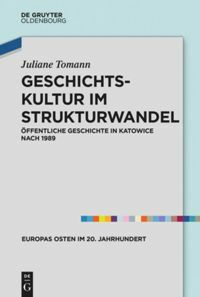 Offizielle Narrationen sind für Studierende der Public History von besonderem Interesse, da sie Einblick in die Steuerung nationaler Identität geben. Das trifft insbesondere dann zu, wenn versucht wird, diese Identität nach außen hin zu präsentieren, wie zum Beispiel bei der Darstellung von “Geschichte” in olympischen Eröffnungszeremonien. An künftige Bürger*innen gerichtete Erzählungen, die darauf hinweisen, was sie “wissen” müssen, um dann offiziell “dazugehören” zu können, sind besonders spannend, da sie die offizielle Identität präsentieren und zudem auch die Voraussetzungen zum Kennenlernen dieser festlegen. Was können offizielle historische Erzählungen – und Veränderungen solcher – über die Nutzung der Geschichte für die Steuerung nationaler Identität verraten? Obwohl sie damals relativ unbemerkt blieb, fand 2013 eine wichtige Innovation statt: Das Vereinigte Königreich erhielt eine offizielle, rechtlich verankerte Geschichte – das Geschichtskapitel in Life in the United Kingdom (LUK), dem Lehrbuch des britischen Innenministeriums zum “Einbürgerungstest”. Das Kapitel hatte es schon in zwei vorherigen Versionen gegeben – die erste nach der Einführung des LUK im Jahre 2004 und eine weitere in der zweiten Ausgabe des LUK, die 2007 veröffentlicht wurde. Das Geschichtskapitel wurde aber erst ab 2013 zum wählbaren Stoff für den “Test”, den Anwärter*innen für den Aufenthaltsstatus im Vereinigten Königreich bestehen müssen. 2013 wurde aus dem Kapitel “Die Schaffung des Vereinigten Königreichs” – dem Titel des Geschichtskapitels von 2004 und 2007 – das Kapitel mit dem Titel “Eine lange und illustre Geschichte”. Welche Veränderungen können im Narrativ dieses Kapitels zwischen der ersten (2004) und der dritten (2013) Ausgabe festgestellt werden? Dieser Artikel versucht diese Frage zu beantworten, indem die Behandlung der Sklaverei und des Sklavenhandels in den beiden Ausgaben genauer untersucht wird. Ich werde darauf achten, wie sich die Darstellung dieser schwierigen Geschichte im Lehrbuch im Laufe der Zeit entwickelt hat und sowohl die Form – wie die Geschichte erzählt wird – als auch den Inhalt – was inkludiert bzw. gestrichen wird – untersuchen. Vergleiche hinsichtlich der Form der Narrationen über den Sklavenhandel in der ersten und dritten Ausgabe zeigen eine klare Veränderung hinsichtlich der grammatikalischen Zuschreibung von Agency in den zwei Texten. In der Narration der ersten Ausgabe nehmen “britische Schiffe” die Stellung des Subjekts ein; diese “beliefern” die Kolonien mit “in Westafrika gefangenen oder durch Kauf erworbenen Männern und Frauen, die zur Arbeit auf den Zucker-, Baumwoll- und Tabakplantagen eingesetzt wurden.” In der dritten Ausgabe allerdings ist zu lesen, dass die gefangenen Afrikaner*innen “aus Westafrika” gekommen seien – eine Bezeichnung, die ihnen die grammatikalische Agensrolle zuordnet (“Sklav*innen kamen von dort”). Sie werden auch als Personen beschrieben, die “auf britischen Schiffen reisten” – eine Formulierung, die die Versklavungsobjekte erneut in die Stellung des grammatikalischen Subjekts versetzt und der es gelingt, weder über jene Akteure, die versklavte Afrikaner*innen auf Sklavenschiffe brachten (und sie dort auch behielten), noch über die Art und Weise, wie dies vonstatten ging, auch das kleinste Detail zu übermitteln. Die erste Ausgabe erzählt uns, wie “Zehntausende zusammengekettet während der Reise in den überfüllten Schiffsladeräumen starben”, während die dritte Ausgabe lediglich erklärt, dass die Bedingungen auf den Sklavenschiffen “schrecklich” waren. Bevor die dritte Ausgabe den Sklavenhandel erklärt, verrät sie uns, dass “obwohl die Sklaverei innerhalb von Großbritannien selbst illegal war … sie im Ausland ein vollkommen etablierter Wirtschaftszweig war”, eine Formulierung, die die Sklaverei von Großbritannien distanziert und sie ins “Ausland” transferiert. Dagegen erzählt der Text der ersten Ausgabe vom Fall Somerset im Jahre 1772 – einem Rechtsfall über die Abschiebung eines Sklaven aus Großbritannien – und dass es während des Großteils des achtzehnten Jahrhunderts viele Tausende Sklav*innen in Großbritannien gab und die Sklaverei dort bis zum Somerset-Urteil legal war. Zudem räumt die erste Ausgabe etwas Platz – vier Sätze – jenen Afrikaner*innen ein, die im Großbritannien des achtzehnten Jahrhunderts lebten. Sie behandelt folglich ein Thema, das 2013 im Kapitel über den Sklavenhandel nicht einmal erwähnt wird. Wer schaffte die Sklaverei ab? Während beide Texte Sklavenaufstände erwähnen, schreibt ihnen nur die erste Ausgabe eine wichtige Rolle im Kampf für die Abschaffung der Sklaverei zu: Sie ordnet die Agensrolle der “öffentlichen Meinung in Großbritannien” zu, die – unter dem Einfluss von “evangelikalen Christen wie William Wilberforce … und … Sklavenaufständen in den Westindischen Inseln” – “zur Abschaffung der Sklaverei führte”. Die Agensrolle im Text der dritten Ausgabe wird von Wilberforce eingenommen, dem es gemeinsam mit anderen Abolitionist*innen “gelang, die öffentliche Meinung gegen den Sklavenhandel zu lenken”. Die Aktivitäten des britischen Staates nach der Abschaffung der Sklaverei werden ebenfalls ganz unterschiedlich präsentiert. Während die erste Ausgabe erklärt, dass “die britische Kriegsmarine den Atlantik patrouillierte, um Sklavenschiffen aus anderen Nationen Einhalt zu gebieten”, ist die dritte Ausgabe eindeutig wertender, indem sie feststellt, dass “die britische Kriegsmarine Sklavenschiffe stoppte, … die Sklav*innen befreite und die Sklavenhändler*innen bestrafte”. Während also die dritte Ausgabe die Kriegsmarine als Akteurin der Freiheit und Gerechtigkeit präsentiert, lässt die erste Ausgabe die Rolle der Kriegsmarine offen für Interpretationen und kommt zum Schluss, dass “endlos darüber diskutiert werden kann, ob diese [britische Kriegsmarine] damals internationales Gesetz schuf oder ob sie in den Augen anderer Nationen gegen dieses Gesetz verstieß”. Schlussfolgerungen: Eine Neuschreibung offizieller Geschichte? Die oben berücksichtigten Muster in den Narrationen vom Sklavenhandel stimmen mit jenen überein, die in anderen Kapiteln der von mir analysierten Ausgaben des LUK (z.B. den Narrationen zur Schlacht von Azincourt und der Eroberung von Wales) zu finden sind. Wie sind diese Muster zu erklären? Es ist möglich, dass diese Veränderungen die 2012 angekündigte Absicht des Innenministeriums widerspiegeln, den “Einbürgerungstest” patriotischer zu machen, und dass sie deshalb das Ergebnis einer bewussten politischen Manipulation des Narrativs sind, obwohl klargestellt werden sollte, dass die meisten wichtigen Veränderungen schon vor der Einführung der 2013er-Ausgabe initiiert wurden. Sie könnten möglicherweise Teil eines Versuchs sein, die Geschichtsdarstellungen korrekter zu machen – die 2004er-Ausgabe wurde wegen Sachverhaltsfehler weitgehend kritisiert. Jedoch handelt es sich bei vielen Veränderungen nicht um eine Frage des Sachverhalts, sondern der Interpretation; außerdem fördern manche Veränderungen die historische Korrektheit nicht, sondern reduzieren sie im Gegenteil. Es ist möglich, dass die Veränderungen mit sich verändernden Konzeptionen von Staatsbürgerschaft zu tun haben – weg von freiheitlichen, multikulturellen Modellen hin zu kommunitaristischen Varianten. Möglicherweise spiegeln die Veränderungen nur eine linguistische Vereinfachung – was nötig war, da ab 2013 Geschichte im Einbürgerungstest geprüft werden sollte. Allerdings haben sowohl die 2004er als auch die 2013er-Darstellungen des Sklavenhandels gleichwertige “Flesch-Kinkaid”-Lesbarkeitswertungen und die 2007er-Erzählung ist bezüglich dieses Kriteriums die “lesbarste”. Um wirklich zu wissen, was den Form- und Inhaltsveränderungen zugrunde liegt, müsste man die Schreibprozesse, die den überarbeiteten Texten zugrunde liegen, statt der Texte selber studieren, aber erstere sind ja nicht öffentlich einsehbar. Es wird ohne Zweifel interessant sein zu sehen, wie mit diesen und anderen Aspekten offizieller Geschichte in der neuen LUK-Ausgabe umgegangen werden wird, die ab März 2019 folgen müsste. Es gibt Hinweise darauf, dass Geschichte in der neuen Ausgabe herabgestuft und eine direktere und explizitere Betonung von “britischen Werten” das Narrativ der “illustren” britischen Vergangenheit ersetzen wird. Eine explizite Formulierung offizieller, festgeschriebener “nationaler Werte” ist natürlich problematisch; es könnte durchaus mehr Sinn machen, solche Werte etwas subtiler durch die Neubearbeitung und Umschreibung historischer Narrative zu propagieren. Chapman, Arthur. “Changing LUK: Nation and narration in Life in the United Kingdom.” In How to Investigate Public History: Analysing Historical Narratives, herausgegeben von Nicola Brauch, Stefan Berger, und Chris Lorenz. New York and Oxford: Berghahn Books, in Kürze erscheinend. Das Geschichtskapitel aus Life in the United Kingdom kann online unter folgendem Link aufgerufen werden: https://lifeintheuktests.co.uk/study-guide/?chapter=3/#start6 und der Abschnitt zum Sklavenhandel hier: https://lifeintheuktests.co.uk/study-guide/?chapter=3&section=4/#start10 (letzter Zugriff am 18. Dezember 2018). Edgar, David. “The British history new citizens must learn: no radicals, no homosexuals, no Holocaust.” The Guardian, May 11, 2013. https://www.theguardian.com/commentisfree/2013/mar/11/battle-britain-history-new-uk-citizens (letzter Zugriff am 18. Dezember 2018). Die drei Ausgaben des Lehrbuchs sind: Home Office, Life in the United Kingdom: A journey into citizenship (Norwich: The Stationary Office, 2004); Home Office, Life in the United Kingdom: A journey into citizenship (Norwich: The Stationary Office, 2007); and Home Office, Life in the United Kingdom: A guide for new residents (Norwich: The Stationary Office, 2013). Alle Zitate stammen vom Home Office (2006), S. 31-32, und Home Office (2014), S. 42-43. Diese sind der 8. Druck der 2004er-Ausgabe und der 5. Druck der 2013er-Ausgabe. Die 2004er-Ausgabe gab irrtümlicherweise 1769 als das Jahr des Falls Somerset an – einer von vielen Fehlern (vgl. Lee Glendinning, “Citizenship guide fails its history exam,” The Guardian, April 29, 2006, https://www.theguardian.com/uk/2006/apr/29/immigration.immigrationpolicy, letzter Zugriff am 18. Dezember 2018). Es ist wohl fehlerhaft, diesen Rechtsfall als ausschlaggebend für das unproblematische Ende der Sklaverei auf dem britischen Festland zu sehen, wie Adam Hoschild anmerkt. Vgl. Adam Hoschild, Bury the Chains: The British Struggle to Abolish Slavery (London: Pan MacMillan, 2005), 48-51. Alan Travis, (2012). “UK migrants to face ‘patriotic’ citizenship test,” The Guardian, July 1, 2012, https://www.theguardian.com/uk/2012/jul/01/uk-migrants-patriotic-citizenship-test (letzter Zugriff am 18. Dezember 2018). Beispielsweise die Entfernung des Hinweises darauf, dass die SklavInnen selbst eine wichtige Rolle für die Abschaffung der Sklaverei spielten – vgl. Michael Craton, Testing the Chains: Resistance to slavery in the British West Indies (Ithaca and London: Cornell University Press, 1982). “Full text: Sajid Javid’s Conservative conference speech,” The Spectator, 2. Oktober 2018, abgerufen am 16. Dezember 2018, https://blogs.spectator.co.uk/2018/10/full-text-sajid-javids-conservative-conference-speech/ (letzter Zugriff am 18. Dezember 2018). Detail des Sklaverei-Mahnmals in Lancaster, Vereinigtes Königreich © Arthur Chapman 2007. Chapman, Arthur: Neu geschriebene offizielle Geschichte lesen. In: Public History Weekly 7 (2019) 3, DOI: dx.doi.org/10.1515/phw-2019-13255. 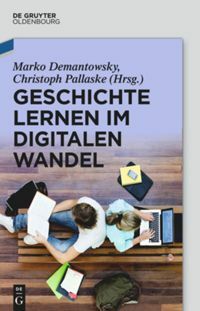 Redaktioneller Hinweis: Der Text wurde am 31.1.2019 (12:45) geringfügig nachbearbeitet. Copyright (c) 2019 by De Gruyter Oldenbourg and the author, all rights reserved. This work may be copied and redistributed for non-commercial, educational purposes, if permission is granted by the author and usage right holders. For permission please contact the editor-in-chief (see here). All articles are reliably referenced via a DOI, which includes all comments that are considered an integral part of the publication. To all our non-English speaking readers we recommend the automatic DeepL-Translator. Just copy and paste. A very good example of analytic historical thinking (“De-Construction” in the FUER-sense) – and an important one, too. It shows the importance of educating members of our societies in such analytic abilities, and that they are more than “skills”. It also highlights that we need a concept for the “official”, governmental dimension in public historiography, and its relation to both academic (professional) and private forms, and of the role and function of school history in relation to them. This is even more complicated (and important), since the official history is implemented via high-stakes tests, thus taking on a form of mere outcome orientation implemented in schools (at least in part) also, which may not become as dominant as to push aside all reflective learning. But what does it signify if citizenship is bound to the ability to recognize/reproduce such narratives (even if they were accurate in the details), or even to believe them? What would this mean for school? Would it need to distinguish between learners with unconditional citizenship, who can be taught critical thinking and immigrants not to be diverted from such beliefs by education? Or would it need to focus all students on at least an imaginary citizenship-test? Or, rather, stress its critical focus because of such narratives being enforced by non-academic measures? And more so for our community: If holding a certain interpretation is made compulsory for citizenship for a) some, but not all, or b) all citizens: what can/should our position be? Years ago, I was asked to draft the history part of Germany’s new immigration test. Having read the (then classified!) curriculum for the cursus, I declined to make a bid. This is where the critical capacity is needed. Thank you for appreciation of my piece, Andreas. I am equally appreciative of FUER’s conceptualization of ‘deconstruction’ and I find the construction/deconstruction contrast very fruitful. The question of the relationships that obtain between official and other histories is a very interesting one and one that needs fuller exploration. There have been important new developments in the study of official history – notably the recent Handbook of State-Sponsored History After 1945 that Berber Bevernage and Nico Wouters have recently edited (https://www.palgrave.com/gb/book/9781349953059). I think that the inter-relationships between official and other kinds of history certainly merit fuller exploration. Although they were children of two different government departments, Life in the United Kingdom and our revised National Curriculum for History both emerged in 2013 and one can certainly see commonalities between them, although the initial draft of the 2013 school curriculum was resisted and to some extent reshaped by teacher resistance (https://doi.org/10.1080/00071005.2017.1279274). I hope to explore contrasts and continuities between these two enterprises in future work. The notion that loyalty to the state can be secured by disseminating patriotic narrative that underlies the whole Life in The United Kingdom project is a highly problematic one, I agree. It is based on untested assumptions and ones that seem to be undermined by research evidence. As James Wertsch has shown we need to distinguish between knowing a narrative (‘mastery’) and ‘appropriating’ narrative in identity-building (https://global.oup.com/academic/product/mind-as-action-9780195117530?cc=gb&lang=en&amp;). There is good reason to think that one can know a story without identifying with it. The double-standard is also troubling – existing citizens are not expected to pass tests to secure their rights and very few of them know the answers to the test that apparently assesses preparedness for ‘Life in the United Kingdom’; what is the meaning, then, of requiring candidate ‘residents’ and ‘citizens’ to know this knowledge that is clearly in no way essential for successfully living in the United Kingdom? The notion that one might be – ultimately – ejected from a country for failing to pass history questions in an official test is surely concerning in the extreme, as it the fact that one has to pay to undertake the test – it has been taken over 2 million times since 2005 and one has to pay £50 to take it (https://www.theguardian.com/commentisfree/2018/mar/01/british-citizenship-test-meghan-markle-brexit-reform). Making residency and citizenship rights depend upon paying to be assessed in factual recall of a questionable narrative is surely a transparent abuse of history. You were right, I think, to turn down that invitation! I wonder, however, if more of us should take up the invitation to study these ‘official’ refunctionings of history at tool to use when distributing identities and citizenship rights. Existing comparative work in the field of citizenship tests – such as the book by Van Oers that I cited – suggests that this would be a very fruitful exercise. I would like to draw a comparison here to what I have found when working on tourist narratives of history, i.e. historical narratives in tourist media. My focus was tourist media from the CEE/EE Region. I have found that they frequently provide the space for the negotiation of the nation (and the Region, in many cases). My conclusions have been that textual analysis and the analysis of narrative strategies used to mediate certain representations are not enough but these analyses also have to take into account the triangle of “agency”, “authority” and “intertextuality”. I am going to elaborate on these angles but always with tourist media in mind. Agency refers to the people who compose these narratives, whether they are professional historians drawing from their work and knowledge or staff in tourist agencies or with national tourism boards. Authority refers to those responsible for the commissioning of the texts and their intentions which might be conveyed to the writers. Intertextuality refers to the sources used to write the texts. I found that in many cases they either copied narratives from official websites or they relied on popular history books in print. In some cases I also found that they used previous publications of tourist media. These three aspects contribute to what type of discourse is mediated and they may also explain the changes in the different versions, either because new sources were available or new (younger) authors approached the narratives with a different identity discourse in mind or because the “authority” i. e. tourism boards refrained from focusing on the mediation of history in favour of other dimensions of a destination such as culinary traditions, cultural heritage etc. These tourist narratives sound fascinating Eva: I hope to have the opportunity to read more about your study. There are aspects of the third edition of Life in The United Kingdom that feel a little like a tourist guide, such as the following comment on “Parts of Hadrian’s Wall, including the forts of Housesteads and Vindolanda, can still be seen. It is a popular area for walkers and is a UNESCO (United Nations Education, Scientific and Cultural Organization) World Heritage Site” (https://lifeintheuktests.co.uk/study-guide/?chapter=3&section=1). Thank you for your observations about “agency”, “authority” and “intertextuality”. My primary purpose in conducting my research into LUK has been to explore how narrative was constructed – I have been focused, then, on intra-textual features of the various editions. This has been quite revealing, I think, particularly at the micro and sentence-level aspect of narration. Although I begin to speculate about why changes may have taken place in my post, this is an area where I still need to do more concrete research. I think that the concepts you outline would be very useful in pursuing that task which would need to be more contextual than textual in approach. Interestingly, we know the author of the first edition of LUK – Professor Bernard Crick (https://www.theguardian.com/uk/2006/apr/29/immigration.immigrationpolicy) but subsequent editions and revisions took place within government departments. It is entirely possible, as you suggest, that the generations of the authors are a key consideration. I hope to be able to explore these questions further in future research.